The following lectures are specifically for the college market. C.J. does have an excellent keynote presentation for the corporate market. You can find out about it on it's dedicated website. Corporate Keynote. C.J. 's most popular workshop. It teaches several "Pseudo Hypnotic Party Tricks" and a motivational talk that uses the tricks taught in the workshop to illustrate powerful messages about goal setting, expectations, working with others and more. This lecture/workshop is best presented after a show as it references things that happen during the show and tells a bit about the psychology of WHY these things happen. Consider teaming up with a psychology department and having them split the cost of the lecture and show and encourage Psych students to attend. You increase attendance and split the costs! Learn More about "The Power of Suggestion"
This is a short, sweet and endlessly useful add on to any show. Invite students to remain after the show for a discussion about what happened during the show and how they can use similar techniques to study more effectively. Plus, everyone who stays gets to go through a hypnotic induction. This lecture is based on C.J. 's best selling audio program "Motivating Yourself to Study Smarter". Learn More about "Hypnotic Tools To Study Smarter"
Standing ovations are the norm for this fun filled, exciting and incredibly informative program designed for student leaders. It's nothing typical, it's a lot of fun, and your student leaders will leave inspired and moved. Learn More about "Hypnotic Leadership & Success"
This workshop teaches "tricks" that look like hypnosis and is a lot of fun for students to attend right after a show. Your campus may never be the same after this fun filled program. Learn More about "Pseudo Hypnotic Tricks"
Designed for programming boards, but appropriate for any student organization, Pack the House is based on the book of the same name by C.J. Johnson and Brian Brushwood. It's the book that many programmers call their "bible" of promoting events. You'll learn how to improve attendance at all future campus events! Includes downloadable e-books for everyone in attendance. This a perfect way to get something extra for your board while C.J. is on campus, and get it at very minimal extra cost. There is now a podcast based on this that you should give a listen! 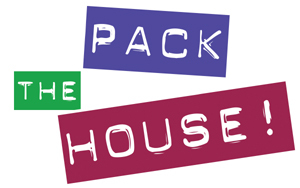 Learn More about "Pack the House"